9 Multi-Story Commercial Office Buildings in Denver Metro Area Comprising Approx. 1.9M Sq. 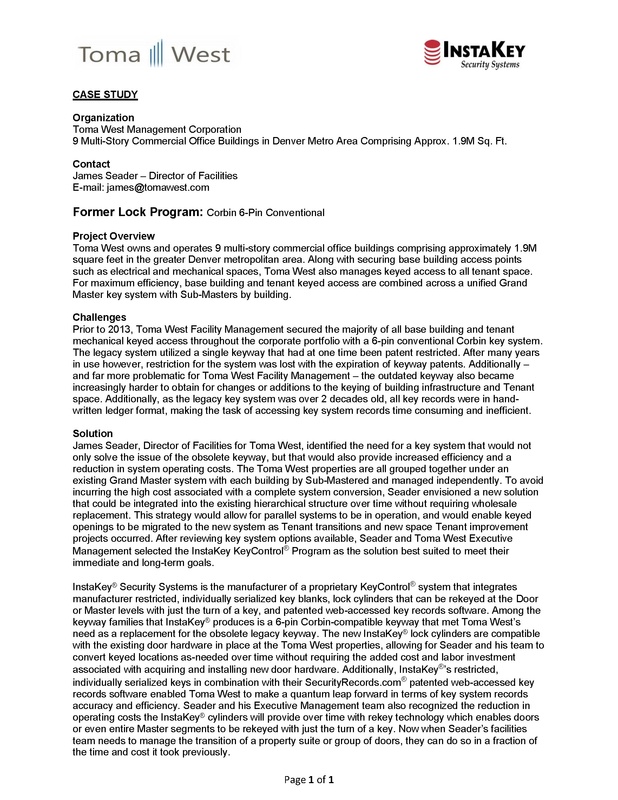 Ft.
Toma West owns and operates 9 multi-story commercial office buildings comprising approximately 1.9M square feet in the greater Denver metropolitan area. Along with securing base building access points such as electrical and mechanical spaces, Toma West also manages keyed access to all tenant space. For maximum efficiency, base building and tenant keyed access are combined across a unified Grand Master key system with Sub-Masters by building.